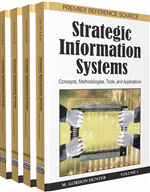 This chapter discusses the nature of strategic intelligence and the challenges of systematically scanning and processing strategic information. It reveals that strategic intelligence practice concentrates on competitive intelligence gathering, non-competitive related intelligence have not yet been systematically scanned and processed. Much of the intelligence is collected through informal and manual based systems. Turning data into analyzed, meaningful intelligence for action is limited to a few industry leaders. The chapter proposed a corporate intelligence solution, which comprises of three key intelligence functions, namely organizational-wide intelligence scanning, knowledge enriched intelligent refining, and specialist support. A corporate radar system (CRS) for external environment scanning, which is a part of the organizational-wide intelligence scanning process is explored in light of latest technology development. Implementation issues are discussed. The chapter develops insight of strategic intelligence, and the solution could significantly enhance a manager’s and a company’s sensibility and capability in dealing with external opportunities and threats.